I have been lucky enough to really dive into several of the experiential learning opportunities here. My work on the Byrne Trial Team is experiential. I am also in the Hobbs/Poehls District Attorney Practicum, which is another experiential program. Because I want to be a trial attorney, I am involved in programs that are geared towards trial skills. If trial isn’t your thing, there are tons of other programs out there that will be geared towards whatever you want to try. I think that anyone who goes here would be crazy not to take advantage of all of the experiential opportunities. 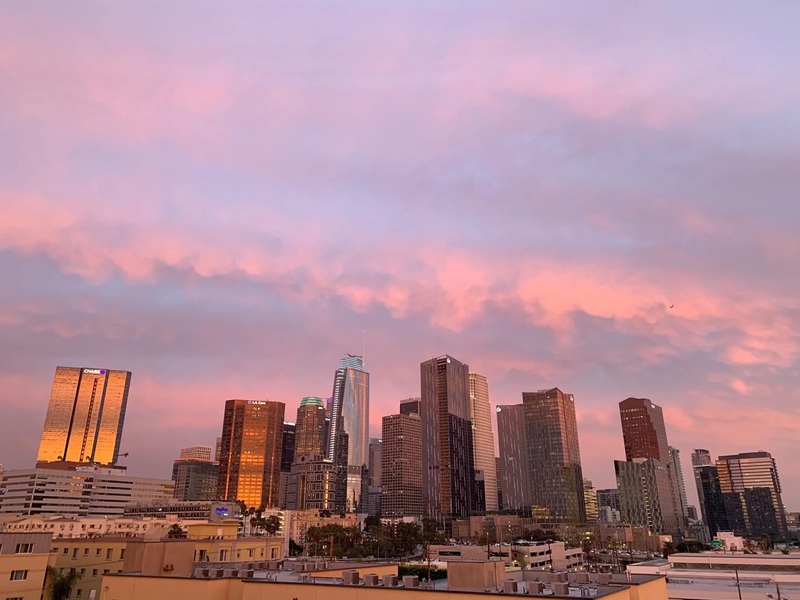 Something I hear from almost every practicing lawyer I meet here in LA is that Loyola produces the best skill-based, practice-ready attorneys in the area straight out of law school. It is because the majority of us take advantage of actually learning how to be a lawyer while we are in school through these programs, rather than learning just the theoretical stuff. My opinion is: you can know absolutely everything about the law, but if you don’t know how to practically apply that knowledge, what is the point? There are also concentrations at Loyola, which allows you to take classes in certain areas of the law and then you get a distinction on your transcript that you completed a certain concentration. I haven’t officially signed up for one, but I plan on applying to be a part of the Criminal Justice Concentration. Another great opportunity here at Loyola is to take classes that will truly help you practice in your field of choice! Everyone has their expectations of what law school will be like when they get there. If you don’t have family members or close friends who’ve gone through it, those expectations are probably shaped by movies and TV. Some images are very familiar: mountains upon mountains of homework; humiliating cold-calls; classmates ripping pages out of library books so no one else can study from them. It’s all enough to make you wonder why anyone goes to law school in the first place. I love that idea. I feel great when I see that idea borne out in real life. I see it manifested in many of the students, who are hard-working, unpretentious, and always willing to collaborate. A good many, it seems to me, are eager to work through law school so they can go on to join the bloodstream of this city – perhaps in public service, or on behalf of clients with special needs. In my own experience interning in both government and public interest law offices while at Loyola, I’ve met so many inspiring grads – from judges to civil rights lawyers to executive directors of nonprofits. They all seem particularly well-prepared for the avenue of service they have pursued. I’m inspired by the idea that Loyola is where so many people who want to serve this city come to get their education. After all, it has a nearly 100-year history of educating lawyers, much of that history at its current campus adjacent to downtown, where there are so many in need of representation. If you want to go to law school, but worry the environment will look too much like what you’ve seen in the movies, I can reassure you – that’s not Loyola. While it’s by no means easy (it is, after all, law school) it’s a supportive environment, and one that particularly speaks to the ideal of service. To call Loyola “the city’s law school” is, I think, to pay it a tremendous compliment. I got lucky with Loyola. Studying for the LSAT during off season basketball training was tedious and felt impossible at times. When it finally came time to apply for schools I was in the midst of the busiest time of the year for a collegiate basketball player. I was traveling to the East coast for games twice a week and practicing every day, along with classes. There was no physical way for me to visit any of the schools I applied to. I took virtual tours and looked up information on the internet, but essentially I decided to go to Loyola on a whim. Fast forward to my second semester of law school, and I could not be happier with my choice. Loyola was always on my radar, as I had always dreamed of moving to the west coast to pursue a law degree. When it came time to decide, something felt instinctively right about Loyola. When I was finally able to visit the campus in June, before starting classes in August, I was nervous. Once I stepped foot on campus I knew I had made the right decision. My initial excitement heightened as I started law school this past August. While Loyola’s facilities, and accommodations are top tier, it is the people at Loyola that sets it apart from other law schools. I can not say enough about the faculty and students at Loyola. As mentioned in a previous post, there is a preconceived idea that law school creates cynicism and turns you into a more pessimistic version of yourself. Not at Loyola. While, law school does teach you to question notions and divulge in different theories, the professors and students alike maintain positive spirits about the law and all it has to offer. Law School is tedious, and it can be very tiresome, but Loyola makes it a little easier. With a strong faculty support system and a student body filled with determined, but genuine individuals, I want to emphasize just how lucky I got with Loyola. From a shot in the dark application to becoming my second home, Loyola has exceeded all my expectations. Valentine’s Day has passed, so it’s only appropriate to talk about what I love about Loyola! The only problem is there are honestly so many things, some of which I have already discussed in prior posts. The professors, the classes, the academic support, and my classmates all make Loyola feel like a second home. However, one area that I haven’t talked much about is Loyola’s extensive alumni network. Although applications for summer externships and associate positions started to go out at the end of the Fall semester, the search for summer employment really ramps up beginning in the Spring semester. Accordingly, Spring semester has so far been filled with events to learn more about employment in different areas of law. Many of these events feature or are organized by Loyola alumni. So far, I have attended a handful of events including a talk with Larry Midler, Executive Vice President and General Counsel for CBRE (a top real estate services and investment firm), and a focus group with a hiring manager at Allen Matkins (a top tier California real estate firm). Not only are these events informative but they are great opportunities to experience just how extensive the Loyola alumni network really is. If you plan to practice in California, especially Southern California, Loyola alumni are literally everywhere. Other opportunities to get to know alums are less formal but can be a lot of fun! One example is the PILF auction, a can’t-miss event in the fall to raise money for students who earn pro bono summer positions in public interest. Many of the items and experiences up for auction are provided by the alumni. This year, Claudia and I won a dinner for 6 at the Magic Castle. The evening, which we planned to celebrate my mom’s birthday, was organized and hosted by Loyola alum, Ray Karch. Mr. Karch guided us on a special tour of the entire Castle, arranged dinner in a private dining room, and even performed a private close-up show for us! He could not have been a better host and my entire family had a fantastic evening. You never know what sorts of connections you will make at Loyola. There are a lot of ways to answer that, but the simplest way to put it is, "A lot!" It might seem like "love" is too strong a word, right? WRONG. I absolutely love Loyola and all of my classes. And, to be perfectly honest, I do love Loyola. 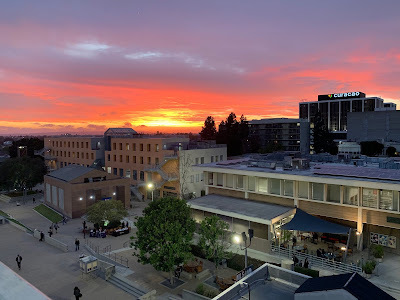 Despite, or perhaps because of, the stress, the exams, the complex subject matter, and the long hours that I have to put in if I want to learn as much as I possibly can and perform to my full potential, I absolutely love Loyola. (Just kidding about the “despite,” Loyola, you know I love you.) It’s because of the exams and because of the long hours that I love Loyola. I love the fact that the stress, when it does happen, is the kind of stress that comes from growing as a person and a professional. I love the fact that the exams come after a semester of support and feedback that points out where I am strong and where I need to work. I love the fact that the complex subject matter is made understandable by professors who obviously care about it. I love the fact that those long hours are hours well spent. I love that fact that I know that Loyola will prepare me to be the best lawyer that I can be. I love Loyola because I am being challenged like never before and, every step of the way, I am being given the support, both from students and from faculty, that I need to succeed.